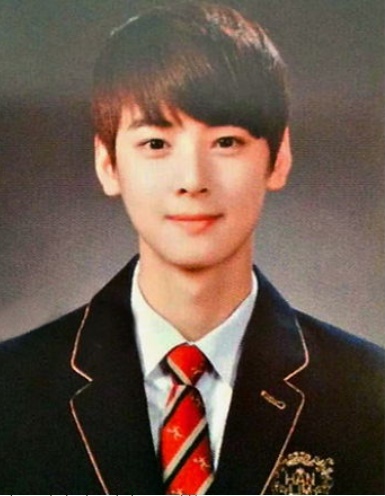 A graduation picture of ASTRO's Cha Eunwoo has been revealed, garnering a lot of attention. Recently, the picture has been uploaded on an online community board with the title, "Face genius Cha Eunwoo's graduation picture." In the photo, Cha Eunwoo is wearing a school uniform while smiling brightly. His milky and handsome features are stealing hearts of his female fans. Meanwhile, Cha Eunwoo made a guest appearance on the May 16th episode of MBC's Radio Star.